If you want to see real, meaningful success on the world’s largest B2B-themed professional network, you need to find ways to engage your ideal clients and prospects in 1-on-1, personalized conversations using LinkedIn invites and messages. 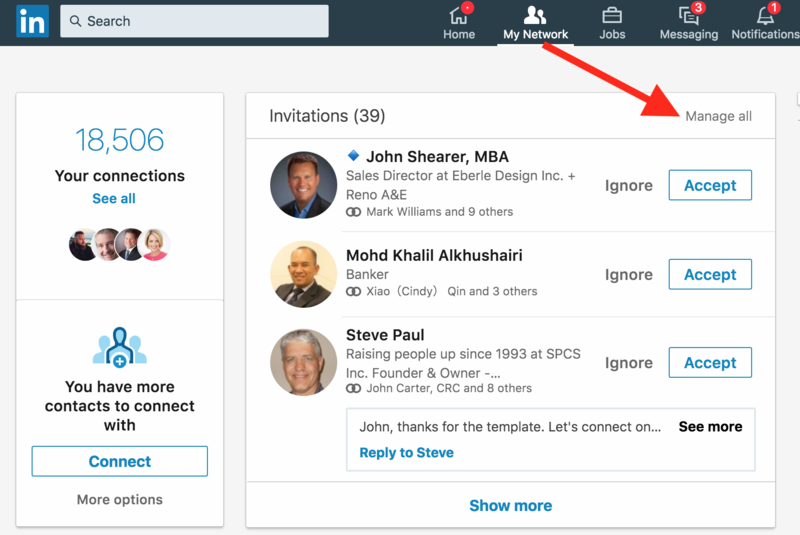 Even LinkedIn seems to realize that context is key in starting these new relationships, recently adding a feature to its “invite” area that helps you instantly find commonalities to spark discussions with new connections. If you’ve built out your LinkedIn profile in a way that helps your ideal clients and customers understand who you are and how you can help them, and if you’ve included the right keywords inside your profile, you’re going to see a steady stream of inbound invites from people wanting to connect to you on the network. 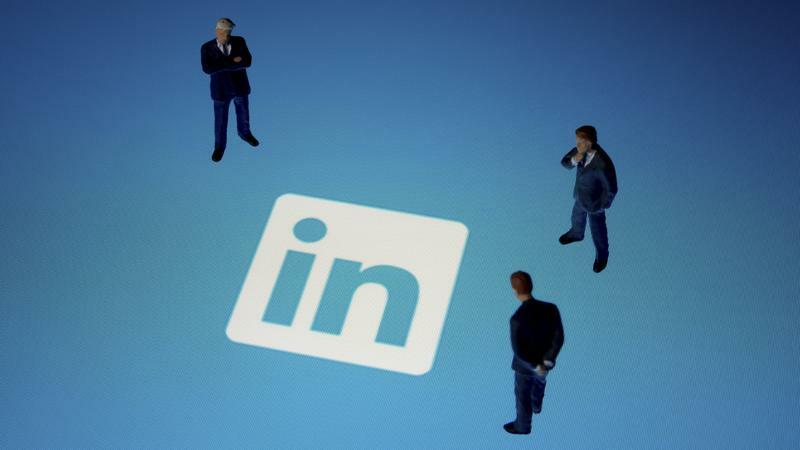 An inbound or “Received” invitation on LinkedIn is ideal, because that means someone else has taken the time to “find” you on the platform, look at your profile and send an invitation wanting to connect with you personally. Sometimes, these inbound invites you receive will include a personal note from the person about how he or she found you and why he or she wants to connect. But more often than not, you’ll just see some inbound, generic invites sitting there once you click on the “My Network” tab at the top of your LinkedIn page. 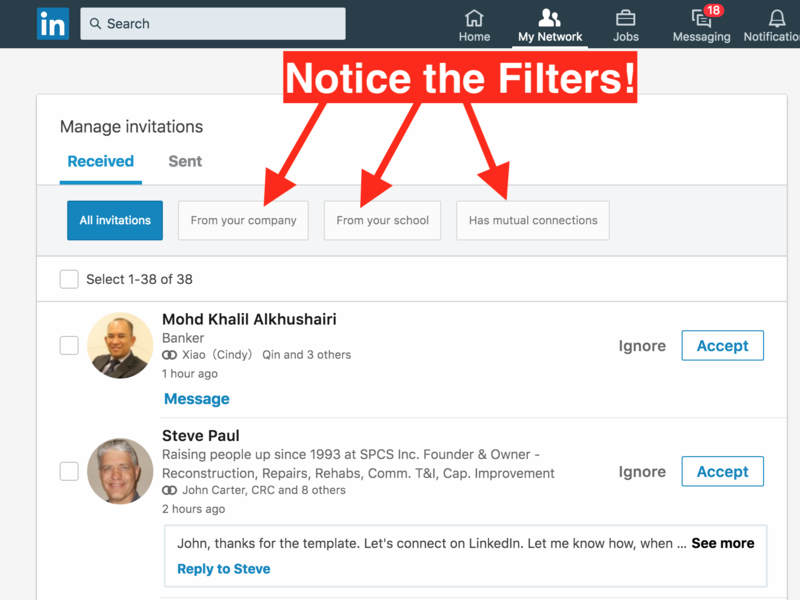 What’s nice is that LinkedIn has added a new set of filters to the desktop version of your inbound invitations. These filters allow you to instantly sort your inbound invites based on whether someone works at the same company as you, went to the same school as you or is connected to some of the same people you are on LinkedIn. The idea behind these filters to help you explore some commonalities to include in your initial 1-on-1 messages as you accept these inbound, new invites from people wanting to connect with you on LinkedIn. First, click on “My Network” at the top of the page. That will pull up all your inbound or “Received” invitations from people who want to connect with you. Next, click “Manage All” in the top corner of that “Invitations” area, and you’ll be brought to a new page that allows you to utilize the different filters I’ve mentioned. The filters are laid out in boxes above your “Received” (or inbound) LinkedIn invites to connect. Simply click on the box you want to filter by (“All Invitations,” “From Your Company,” “From Your School” or “Has Mutual Connections”) to sort the list of inbound invites accordingly. Imagine seeing someone who went to the same school as you has just sent an invite to connect. You can now easily accept the person’s invite, and then fire off a personalized, 1-on-1 message asking about his or her experience at your school as an icebreaker. Hey [NAME] – thanks for inviting me to connect! Curious – how did you come across my profile here on LinkedIn? Also, I noticed you went to [SCHOOL NAME]. I graduated in [YEAR] and [INSERT PERSONAL MEMORY FROM SCHOOL]. Look forward to learning more about you professionally and how I can help you out! See how this works? You can now easily sort all your inbound invites to find icebreakers based on a few different filters, and that context for a conversation is where the magic begins to happen on LinkedIn. 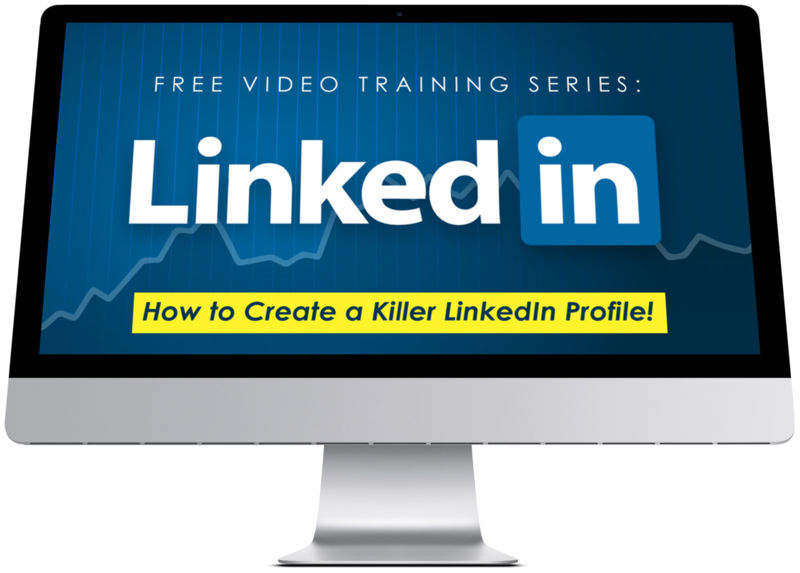 I’ve shared in great detail here and elsewhere the power of personalized, 1-on-1 LinkedIn messages, and the approach is even more powerful when someone is asking you to connect to begin with. Make sure you’re taking advantage of some easy ways to spark new conversations when others are inviting you to connect!